Many of us struggle to bring products from that initial idea phase to actual completion. Projects are started and then quickly abandoned, never fulfilling their potential. And as a result, great opportunities for business growth are lost. Recently, the Chad Barr Group completed a project that had long been on the back-burner of my mind—and I want to share the important lessons I learned along the way. First of all, I’m thrilled to announce the debut of three new books that together encapsulate my most valuable advice about web strategy. Long before these books were a reality, I knew they would help increase the reach of my intellectual property—something I’ve been doing with articles, podcasts, videos, and other publishing channels for years. But this particular project was something more; it was close to my heart. I wanted to create a series of books that encompassed the best gems of wisdom and knowledge that I could possibly share with my audience. 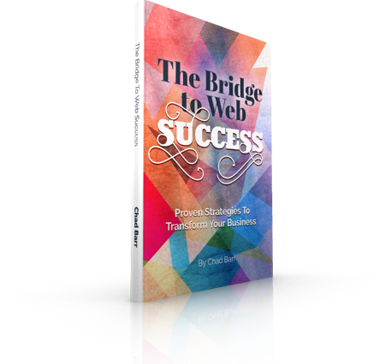 That’s exactly what I’ve created with these three books: The Bridge to Web Success: Proven Strategies to Transform Your Business, Process Visuals to Power Your Success: 10 Stunning Graphics-and How They Can Turbocharge Your Business, and Under the Barr: The Wild and Wacky Web. Once I committed to making this project a reality, it all came together rather quickly. But it took major effort and focus—on my part, and on the part of my team—to put all the pieces of the puzzle together. Soon, the project took on a life of it’s own. Instead of starting with just one book and slowly working my way up to a series, I jumped right in with three books. It felt overwhelming at first, but I committed to doing it—and then I did it. Start with a “brain dump.” Throw tons of ideas at the wall—even if none of them stick! Think about what your audience wants and needs, and then reach out to them to find out exactly what they’re looking for. Use this information as a basis for your “brain dump,” coming up with as many possible concepts as you can that make sense. Brainstorm with people you trust. Once you have your ideas, it’s time to brainstorm—but only with people you trust. For me, that means my team at the Chad Barr Group, my mastermind group and my clients. Seek out the people you trust and brainstorm to decide which ideas are the most valuable for your audience. Put together a great team. Nothing can get done without a great team of qualified people to help you along the way. Assemble the right group of professionals to help you bring your project to life. From strategy, to copy writing to design, to project management and marketing, make sure every role is properly filled. Don’t start from scratch. Putting together the intellectual property for a brand new product can be incredibly difficult if you don’t build upon your pre-existing content. Use your creativity to repurpose and retarget old products, adding fresh content to make them new again. Organize and schedule. Now it’s time to organize all your intellectual property in a way that makes sense—and put a project schedule in place. Scheduling is incredibly important to the success of any project. Break it into smaller chunks. Don’t get overwhelmed! Break up your project into various small chunks instead of taking on everything at once. Aim for flawless execution. You must completely commit to executing your project at the highest level possible for you and your team. Don’t let distractions and interruptions take you away from this worthwhile goal. Debut it! 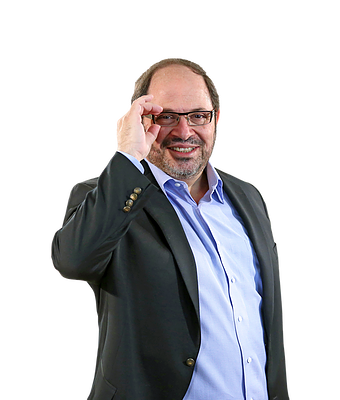 Make your new product available to the world, so people can benefit from your knowledge. Market it! Now the fun part starts. Increase your global reach with various marketing strategies so people can find out about your new offering and spread the word to others. So there you have it: Lessons for bringing your exciting new projects from inception to fruition. I hope you enjoy my new books—and if you decide to order them through Amazon, just let me know and I’ll be happy to provide you with the digital e-book for free. 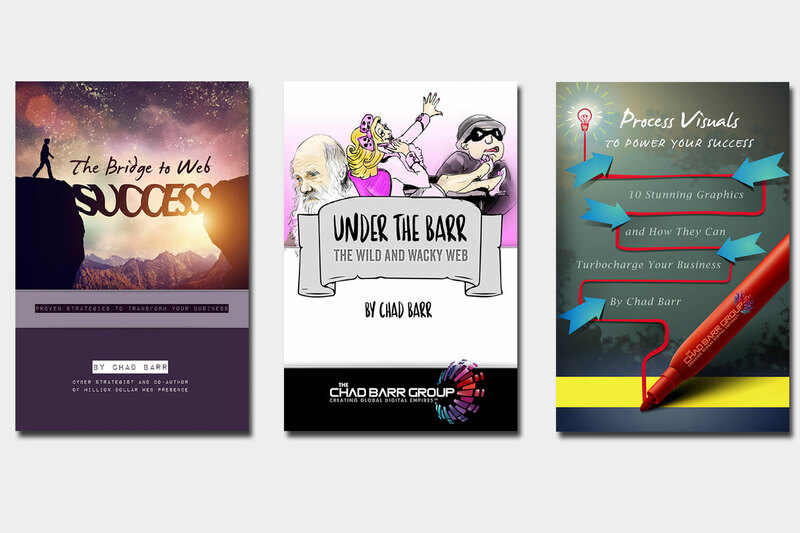 All three of the books can be accessed here. This week’s tip: It’s time to bring your lingering project to fruition! Commit to finally finishing that new product, and get it into the hands of your audience.